Please note, if you click on the site name, you will be directed to the Natura 2000 viewer. The site can be found on the viewer by entering the site name or site code into the viewer search box. The “Cross-border conservation of Phalacrocorax pygmeus and Aythya nyroca at key sites in Romania and Bulgaria” (Green Borders) project targeted 2 bird species and their feeding, resting and breeding habitat on the Danube floodplain. One of the Natura 2000 sites where the project was implemented is the ROSPA0024 Olt-Danube Confluence. Communist hydrotechnical works destroyed the normal water regime specific to the Danube. At the same time, part of the resting and feeding habitat of Phalacrocorax pygmeus was lost. In our modern world, there is another series of threats affecting the Phalacrocorax pygmeus population: degradation of breeding sites; restriction of the foraging/feeding sites; disturbance at key breeding, feeding and wintering sites; mortality due to hunting (illegal and accidental) and fishing activities (entanglements in fishing nets); and pollution of wetlands. The key objectives were to address the threats: suitable breeding and feeding conditions ensured at key sites by maintaining/restoring wetlands; disturbance-free conditions created at key breeding and feeding sites; and mortality at breeding, feeding and wintering sites due to deliberate killing eliminated; and water pollution prevented by strict management measures at key sites. To achieve the objectives and to guarantee a favourable conservation status for Phalacrocorax pygmeus at the Olt-Danube Confluence, 4 ha of willow and poplar were planted and 8 ha of open water mirrors created. Due to this, 1 000 ha of the Danube floodplain have been restored, resulting in an improved water regime, 8 warning signs and 20 buoys being put in place near the colonies, and 1 t of house garbage being collected. The project focused on two highly endangered sea turtle species, the Green Turtle Chelonia mydas and the Loggerhead Turtle Caretta caretta. 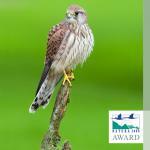 Both species are priority species protected by the EU Habitats Directive. The female comes back 25-30 years later to exactly the same place they were born to lay their eggs in the nests. It is therefore of crucial importance for the conservation of the species to provide long-term protection for the nesting beaches and the nests themselves. The main turtle nesting sites for these species in Cyprus are within two Natura 2000 coastal/marine sites on the western side of the island. These are the Chersonisos Akama site, CY4000010 and the Polis-Gialia site, CY4000001. 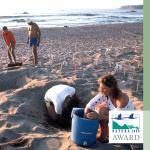 Nesting of both species was low though stable until about 2005, with about 250 Caretta nests p.a. and about 50 nests p.a. for Chelonia mydas. It should be remembered that the nesting beaches in the Akamas area have been protected under national law since 1989. Nests have been protected against predation with cages in situ since the early 1990s, as they were still suffering from predation from foxes (around 80 % of the nests were destroyed) and increasing degradation by human use of nesting beaches and related sand dunes, as well as urban sprawl in the immediate hinterland. The project's objectives were to increase the nesting populations by increasing the number of hatchlings reaching the sea and to protect nesting beaches from direct and indirect degradation. The main activities of the Cyprus Wildlife Society included avoiding human interference with nesting using signs and patrols — in cooperation with the Fisheries Department and the Environment Department — undertaking intense monitoring of the 13 km of nesting beaches throughout incubation and protecting all nests against predation using innovative and specially designed cages. Although the budget of the project is very small (€20 000 yearly), the project resulted in an increase in Loggerhead Turtle nests from 230 to over 850 and Green Turtle nests from about 50 to about 300 in just a few years. The methodologies used have been disseminated around the Mediterranean and many experts have been trained by the Society for free. See also http://www.aboutcyprus.org.cy/en/turtles-and-conservation-in-cyprus. The Hungarian meadow viper (Vipera ursinii rakosiensis) is Europe's most endangered venomous snake. At the start of our project, studies indicated that there were fewer than 500 individuals in Hungary, in two isolated areas: Hanság and Kiskunság. Local habitats had protection designations, but the species continued to experience declining population trends until our project brought success with captive breeding and reintroduction of the species. In total, over 300 captive-bred vipers have been successfully reintroduced into their natural habitats at five sites since 2010. Valuable information about the behaviour of the reintroduced vipers was obtained through radio-tag monitoring. We significantly increased the area of permanent viper habitats by almost 400 ha. These areas are protected areas at national level and are included in the Natura 2000 network. New education facilities were built at the Hungarian Meadow Viper Conservation and Exhibition Centre, which opened its doors to the public in 2009. We informed thousands of people in Hungary and Austria about the project and the species, by setting up viper exhibitions at Budapest Zoo and Schönbrunn Zoo in Vienna, organising regular thematic events to present the subject. Two 25-minute documentary films (“Aristocrat of Snakes”, "Snake in the Hand") were produced, along with a 52-minute nature movie (“Vipera Life - A serpent's tale”) and a series of short films, to increase understanding about the species among a general audience. The project produced numerous dissemination products and organised hundreds of events, including the project website (www.rakosivipera.hu) and social media feeds, several publications, information boards and a mobile exhibition. This application covers efforts to protect natural habitats coded 6110 and 8210, notably rocky cliffs in the Meuse valley and tributaries in Belgium. The work involved examining the restoration of these habitats and resulted in a publication on a cliff management method. The goals are to educate users on respecting habitats through website publications, notify authorities of the presence of protected species and also the damage caused by users, and ensure the sites remain environmentally healthy. Since 1997, the applicant has been carrying out maintenance actions and updating an inventory of new species. The Belgian Ardennes are well known for their deep, dark forests lost in the mist. They are much less known, though, for their bogs and heathlands which occupy high plateaux (400-700 m) from the West to the East of the country. Almost all have been intensively exploited and drained and have undergone spruce plantation attempts for over a century. Until recently, protected areas were limited to around 5 000 ha of widely and heavily degraded land, mostly located on the Hautes-Fagnes. In 2002, the designation of these lands as Natura 2000 sites addressed the potential habitat restoration and species populations concerned by the Bird and Habitat Directives. Since 2002, the DEMNA and NGOs have launched six coordinated LIFE projects aiming to restore the favourable conservation status of peaty and wet biotopes as well as boreo-alpine species. Three of the six projects ended between 2010 and 2014 and are highlighted here: the Plateau des Tailles, Hautes-Fagnes and Lomme projects. On each high plateau, site networks have been fully redesigned to ensure efficient nature recolonisation processes, effective regional species population dynamics and optimum restoration of ecosystem service bundles provided by wetlands. More than 3 700 ha are now restored, including 1 800 ha of new protected sites, supplementing the 900 ha restored by the two former LIFE projects (Saint-Hubert and Croix-Scaille). Detailed biological monitoring programmes on vegetation, birds, dragonflies and butterflies have already demonstrated a real positive effect within each project and on the regional conservation status. A wide range of public awareness activities is being carried out and field infrastructures are being installed to share the new and appealing landscape features and the multiple values of nature. The project implemented by the State Forests is the first to be conducted on such a large scale, combining water retention activities in forest ecosystems with protection against surface water run-off. The main idea of the project is to promote environmentally sound methods of water storage in forests. The project consists in the construction of water storage facilities, rehabilitation of existing amelioration systems to make them store water efficiently, as well as restoration of moors and wetlands. Water storage and run-off-preventing infrastructure includes e.g. sluices, dikes, stopbanks, floodbanks and small water retention reservoirs. CO2 absorption capacity (through increased production of biomass). Maintained by generations of hill farmers, Boleybrack Mountain SAC provides a range of vital benefits to the Glenfarne community, including water, recreation and biodiversity. However, like many Irish upland Natura 2000 sites, it faces many challenges, including a lack awareness of the ecological (and European) importance of the habitats and species present. The site is designated for Natural dystrophic lakes and ponds, Northern Atlantic wet heaths with Erica tetralix, European dry heaths, Molinia meadows on calcareous, peaty or clayey‐silt‐laden soils (Molinion caeruleae) and Active Blanket bog. Four of these habitats are utilised by Red Grouse, which the project has at its heart, as well as other Annex 1 bird species (e.g. Golden Plover, Hen Harrier, Merlin and Peregrine Falcon). Glenfarne Gun Club (GCC), having a clear lack of specialist knowledge, initially focussed on a simple effort to improve Upland heather habitats and Red Grouse numbers on Boleybrack Mountain SAC. However, in recent years, as a result of ongoing regular liaison and consultation with our broad-based project Steering Group, we have adopted a much wider Upland Ecosystems approach. With much local community effort and a reviewed Management Plan, the project has put in place a range of habitat management strategies, for example, controlled heather patch burning (with a Burn Plan and Appropriate Assessment) and species/habitat monitoring. The achievements of the project are many, for example, the remarkable increase in the Red Grouse population from 7 calling males at the beginning of 2010 to 55 calling males in 2014, indicating positive ecological change in the condition of key Annex I habitats on the site. The military training area ‘Adazi’ — a Natura 2000 site and an Important Bird Area since 2004 — has actively been used for military training for almost 100 years. It has been a restricted area, thus spared from intensive farming, forestry and building for many years. At the same time, the long-term military training has created a unique disturbance-dependent ecosystem with rare habitats and species. The Natura 2000 site Adazi is 10 150 ha in size. The largest open heathland in the Baltics is located in the central part of the area. Rare and protected species like the European Roller, Smooth Snake, Tawny Pippit, Rattle Grasshopper and many others live in the area and are strongly dependent on the availability of this very specific habitat. The Rampa Bog in the Eastern part of the area is suffering from drainage and overgrowth, but is still capable of recovery. Black Grouse, Wood Sandpiper, European Nightjar, Short-Toed Eagle and other protected birds are nesting and/or feeding in the area. But over the last two decades, the area has been suffering from overgrowth because of the reduction in military training after the collapse of the Soviet Union. However, military training is expected to intensify again in the coming years. Meanwhile, in order to maintain the complex ecosystem and allow the rare species to inhabit the area, a series of management activities are being carried out by the Latvian Defence Ministry. Since 2010, more than 1 000 ha of overgrown heath habitats have been successfully restored and maintained by cutting trees and bushes, mowing and prescribed burning, using national financing as well as financial support from the EU LIFE Programme. The raised bog has been partly restored by removing overgrowth and closing ditches. A mire restoration plan for an area covering 500 ha has been developed for 2016 and 2017. To address marine conservation through the Natura 2000 network, it is necessary to have as accurate scientific and socio-economic information as possible. To this end, in 2009, Spain, the second-largest marine area in the EU and which only had a 1% marine area in RN2000, launched the LIFE+ INDEMARES project with the aim of obtaining scientific knowledge about the presence and distribution of marine habitats, pelagic species and seabirds listed in the annexes of the Habitats and Birds Directives, in order to propose Natura 2000 areas. The project was completed in 2014 with the declaration of 10 LIC and 39 ZEPA spread across more than 7 million hectares of marine area in the Mediterranean, Atlantic and Macaronesian biogeographical regions. The lack of initial scientific information, the distance from the coast of the areas considered as well as technical and methodological difficulties were the major challenges faced by the project. The goal of creating a Natura 2000 Network in the sea that is consistent, complete with significant scientific knowledge and also carried out with social consensus, has been achieved thanks to the participation of 10 partners from the fields of research, public management and conservation. Through more than 120 oceanographic surveys on the study of benthic habitats, the distribution of cetaceans, reptiles and seabirds and the use they make of the sea, and the socio-economic analysis of human activity, including the impact of fishing activity, they have also enabled the development of management guidelines for each of the 49 proposed sites, hence building the pillars of its future management. https://www.youtube.com/edit?o=U&video_id=c88DfNuPook. This link could not be pasted into the video section. It is clear that the reintroduction of European bison (Bison bonasus), the largest mammal in Europe, represents a challenging task for anyone involved. Romania, where the Romanian Carpathians represent 2/3 of the total Carpathian range, is the first area the European bison has been reintroduced, notably in Vanatori Neamt Nature Park (ROSCI0270). In Romania, the European bison disappeared some 200 years ago. Only 3 small reserves were established in the latter part of the 20th century (one of them at Vanatori Neamt). Even though some successful reintroductions have taken place at national level (beaver, marmot), our main challenge was to reintroduce a large-size mammal. The key goal was to establish a viable, long-term population in the wild. The approach was holistic, integrating aspects of genetics, monitoring, infrastructure necessities, public awareness and education, ecotourism and sustainable development, based on bison as a flagship species. In order to improve the genetic pool, 10 new European bison were brought to Vanatori in 2010-2014. The release and post-release phases have been ongoing. The first releases into the wild took place in spring 2012 (5), 2013 (5) and 2014 (6). Calves were born in the wild, 2 in 2012 and 2 in 2014. Two deaths due to natural causes were also recorded (1 in 2012 and 1 in 2014 - the first case in Romania of European bison predation by bears and wolves). Since 2012, the wild animals’ movements, the habitat preferences and the species’ impact on forest and pastureland habitats have been monitored; maps and databases have also been made available. The project saw a successful public awareness campaign run, aimed at re-establishing this vital species in a spiritual and cultural sense; the release and management framework desired was also achieved. The Regional Directorate for Environmental Protection in Cracov undertook work from 2010 to 2015 to protect 19 Natura 2000 sites (for example: Wały, Kalina-Lisiniec, Opalonki, Sławice Duchowne) in Malopolska province, in Miechowska Upland. It was carried out under three European projects: "Conservation of xerothermic grasslands in Malopolska" (Infrastructure and Environment Operational Programme), "Preparing Natura 2000 management plans" (Infrastructure and Environment Operational Programme) and "Conservation of xerothermic grasslands in Natura 2000 sites in Miechowska Upland" (LIFE+). All of these sites protect very important and rare habitats: xerothermic grasslands (6210) with a large population of orchid species, Juniperus communis formations on calcareous grasslands (5130) and species listed in the Habitat Directive: Carlina onopordifolia (2249) and Cypripedium calceolus (1902). Because of the major threats, notably the lack of any agricultural use of the land and afforestation causing degradation of habitats, many activities were carried out: collecting comprehensive information on the natural value of the sites; preparing Natura 2000 management plans (with a high level of society participation); and active conservation by notably cutting trees and bushes, mowing, sheep grazing and building up the local population of endangered species by ex-situ breeding. The main value of the project was the fact that extensive use was once again made of the land by engaging with local communities involved in sheep grazing. The active protection work was monitored during the project by botanists (monitoring the effectiveness of active protection and monitoring the habitat's condition). Protecting 19 Natura 2000 sites in Małopolska province, in all their complexity, represented a huge challenge. The application covers the Natura 2000 areas that are crossed by the high-voltage power lines of the electricity transmission network. In order to prevent collisions with the critically endangered great bustards (Otis tarda), protected in these Natura 2000 sites, MAVIR, an independent Hungarian System Operator Company started a conservation programme in cooperation with NGOs and National Park directorates. Part of this programme aims at preventing birds from colliding with transmission lines. Due to the physical nature and flight characteristics of the Great bustard, this species is not able to detect transmission lines at a height of 25-50 metres early enough. The collision, regardless of whether or not electricity is present, may kill them. In order to prevent this, MAVIR started placing attention-catching bird diverters on the transmission lines. 1 900 diverters have been installed already and as a result of this the number of collisions of great bustards has decreased by 75%! Another part of the MAVIR conservation programme addresses the protection of birds of prey — saker falcons, hobby, common kestrels and others, all also protected under the EU Birds Directive. The habitats of the critically endangered saker falcon (with ca. 250 pairs living in Hungary), the protected hobby falcon and the common kestrel have been decreasing due to urbanisation and the decrease in forest land. In the case of the saker falcon, these processes have even endangered the survival of the species due to a lack of trees for building nests. A decade ago, these species started to occupy the natural nests of crows and ravens on pylons, and began to breed there. This jeopardised the security of electricity supply and the lives of the birds as well, due to electrocution. A nesting opportunity had to be developed to ensure safe breeding sites for these birds of prey. This is why the company is installing safe man-made nests on the pylons. So far, almost 200 hatching boxes (artificial nests) and eight non-stop monitoring cameras have been installed in three Natura 2000 sites. By continuing our bird protection programme, we would like to ensure that the species above is protected and also increases in number. Actions were conducted in the Natura 2000 area - Błędowska Desert PHL120014 - the largest in Central Europe. It is an area of sand dunes with interesting geomorphological forms, typical of a desert landscape, with numerous rare and protected species of fauna and flora and on-sand swards. There are four kinds of habitats from Directive I; the most crucial are two on-sand habitats: 2330 - inland dunes with on-sand swards (Koelerion glaucae). In the report about the state of habitats (2007), the condition of these habitats was assessed as U2 (bad). Thanks to this project, demonstrative actions of active protection of the desert were introduced, to make the condition of the habitats in Poland better - through both making a direct ecological effect, and also testing and spreading good practices for this protection in other, similar habitats. The crucial and immediate danger for the protection of on-sand habitats in the desert area was natural succession, namely overgrown Scotch pine, Silver birch and species of willow - sand willow and Caspian willow. The main action was to remove trees and bushes. What’s more, the process of ectypal succession will be monitored, in order to analyse the dynamics of vegetation and changes in biodiversity. The problem was the lack of developed, specific practices to lead the active protection of on-sand habitats on such a big scale. To regenerate the vegetation, maintain the continuity of ecosystems and enable the migration of psamofilna fauna and flora, the areas targeted for active protection were located directly nearby the most precious parts of on-sand ecosystems. The Great Bustard is one of the world’s most endangered species. The Natura 2000 site ‘Castro Verde’ is the largest Portuguese SPA and represents the biggest area in the country with a continuous cereal steppe habitat. 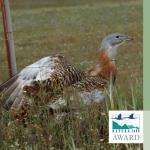 It is also the country's stronghold for the Great Bustard (85% of the national population). The League for the Protection of Nature (LPN) aimed to establish best practices to decrease collisions with powerlines and fences and improve fence permeability and thus reduce habitat fragmentation. These actions are critical to decreasing mortality, which constrains population growth. Several actions have been implemented in collaboration with the municipality of Castro Verde and the local farmers association — Associação de Agricultores do Campo Branco. 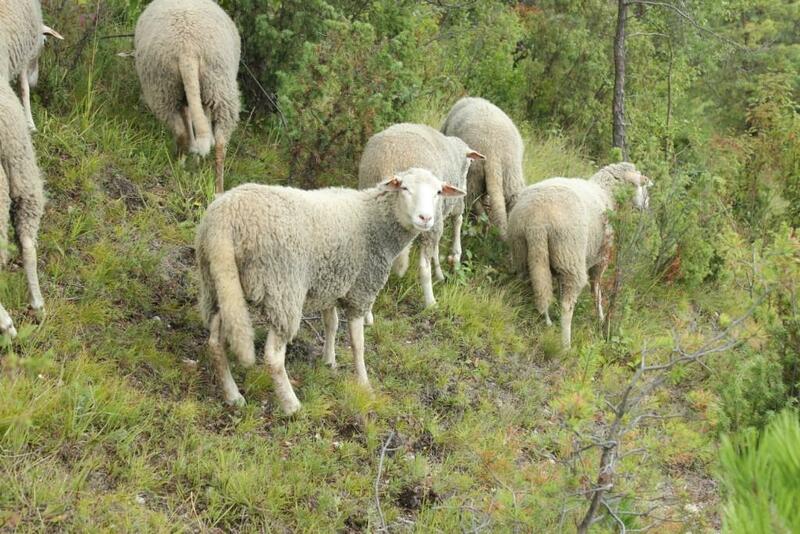 An initial count of the fences in only 10 % of the Castro Verde Natura 2000 site revealed 300 km of fences over 8 500 ha. Since the Great Bustard has a ground ecology behaviour, fences for cattle management promote habitat fragmentation due to the barrier effect, namely for Great Bustard females with non-flying chicks trying to access drinking and feeding areas. Crossways were developed and tested along 28 km of fences and photo trapping was used to determine their use by Great Bustards. Results confirm that fence crossways are used by Great Bustards and offer an easily replicable methodology that can be widely applied by farmers elsewhere. The Great Bustard is highly vulnerable to powerline collisions (main cause of non-natural mortality). The Portuguese electricity company, EDP Distribuição, corrected 40 km of powerlines by installing three types of anti-collision devices (Double Spiral, Ribbons and Rotational Firefly). Their efficiency was tested by LPN and the results showed that Rotational Fireflies are the best practice for decreasing Great Bustard powerline collisions. Great Bustard conservation in the Castro Verde SPA began in the 1990s. Due to this work, including powerline corrections and fence improvements, species numbers in the Castro Verde SPA increased from 400 individuals (1997) to 1 300 (2012) and have shown a stable trend over recent years. ROSCI0190 Siriu lies in the northwestern part of Buzau County, Romania and covers an area of 6230 ha. The County Council of Buzau has taken care of conservation efforts at this natural site since February 2010. The main conservation activities and achievements at ROSCI0190 Siriu include: (i) management plan; (ii) stocktake (updated in 2012) and full cartographical profile of natural habitats and wild species of community interest, and ‘conservation state’ monitoring system; (iii) measurement system for buildings and land; (iv) visitor strategy; (v) ‘conservative status’ system for wild species and natural habitats of community interest; and (vi) technical and economic documentation to build infrastructure for site visitors. Actions to communicate the conservation effort, the opportunities and threats, and best practice examples at ROSCI0190 Siriu include: (i) project website (www.rezervatie-siriu.ro); (ii) distribution of 1 000 textbooks for primary and secondary school pupils and teachers from Chiojdu and Siriu communes; and (iii) printing of 2 500 brochures. The habitats of European importance are: Luzulo-fagetum and Asperulo fagetum beech forests; Alluvial forests; Dacian beech forests; Acidophilous Picea forests; wild bushes of Myricaria germanica; Alpine and boreal bushes; Communities of high margin grass; Active turf moors; and Tilio acerion forests. Species: wolf, bear, lynx, triton, Bombina variegata, Barbus meridionalis, Cottus gobio; and bell flower. Europe’s river floodplains are well known for their rich biodiversity. They provide important flood prevention functions and are the source of raw materials for economic activity. Their landscape features are valued by visitors and local residents alike, so looking after our floodplains makes a lot of long-term environmental and socio-economic sense. The LIFE programme’s experience shows that human inputs remain absolutely fundamental for effective nature conservation work in floodplain areas (as well as elsewhere). The participation of the right people at the right time with the right objectives is essential, and a LIFE Nature project from the river Lippe (a tributary of the Rhine) in north-western Germany reveals how this can be achieved in practice. Within the scope of a former LIFE project, the funded LIFE+ project "Lippe floodplain" has the intention of implementing improvements with the aim of preserving and enhancing the good state of conservation in four sub-areas in which no ecological modifications have been made yet. 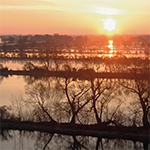 The main aim of the project is to improve the connection between the river and its floodplain in order to support the development of typical alluvial and river habitats. Moreover, the LIFE+ project is aimed at creating the preconditions for optimisation of the entire pSCI so that the conservation target can be sustainably achieved in the entire area. In 2005, the BUND Bremen started a special program to protect the nests and chicks of limicoline birds with the result that the decline of these endangered meadowland birds in the Bremer NATURA 2000 area "Blockland" (an area which covers 3000 ha) could well have been stopped. Since 2013, the BUND project, in which both farmers and conservationists collaborate, is continuing to grow. Almost no breeding sites or chicks get lost due to grassland management. Hence, on the lowland fens there are 53 curlew, 247 lapwing, 33 common snipe, 45 black-tailed godwit and 37 redshank couples breeding, which is twice as many as before the project started. Due to the high breeding success, further increases are expected. Today, about 100 000 water birds from all over Europe migrate to Ismaninger Speichersee und Fischteiche during summer to moult their wing feathers. A low level of anthropogenic disturbance and a reliable wealth of food turn the SPA (10 km2) in southern Germany into a key habitat for European water birds, especially Gadwalls (Anas strepera) and Red-crested Pochards (Netta rufina). 20 years ago, water bird densities collapsed as a consequence of a food shortage following a severe reduction in the nutrient influx. To restore the conditions for moulting birds in the long run, the foundation Bayerischer Naturschutzfonds leased a 230 ha section of the area for almost 30 years. Together with the application partners, a working group of the NGOs Landesbund für Vogelschutz, Ornithologische Gesellschaft, and Bund Naturschutz, as well as E.ON Kraftwerke GmbH, a new management plan was developed after extensive investigation of different management options. The partners have been carrying out the plan since 2010. It is principally based on a discontinuation of commercial fish feeding and, moreover, on a complete readjustment of the fish farm to meet the needs of moulting water birds. Birds no longer compete against fish for food, and disturbance is strictly reduced. As a result, the carrying capacity for moulting water birds increased to former levels in spite of persistent lower nutrient levels. From 2010-2014, Gadwall and Red-crested Pochard benefited from our actions to such an extent (+ 139 % and +339 %, respectively), that the site now serves as a key habitat for the total population of both species in Europe. As regards the flyway population, the site is home to more than 13 % of the Gadwalls and 28 % of the Red-crested Pochards in this critical phase of their life cycle. The 'Alde-Ore Estuary — sustaining a future for wildlife' project (LIFE+08/NAT/UK000199), a partnership between the National Trust and the RSPB, developed the management and infrastructure of Orford Ness and Havergate Island, to sustain and enhance habitats and species of European significance. These complex coastal marshland and vegetated shingle habitats have been designated as Natura 2000 sites as they are important for a range of breeding and wintering birds, including Birds Directive Annex 1 species such as the Avocet, Marsh Harrier, Short Eared Owl, Golden Plover, Ruff and Spoonbill. The saline lagoon (H1150) habitat hosts large populations of invertebrates, such as the Starlet Sea Anemone and Lagoon Sand Shrimp, while the vegetated shingle habitat (H1210, H1220) contains important plant and animal communities. The project actions built on conservation work already carried out within previous LIFE grants. In recent years, after a series of dry springs and early summers, it was felt there was a need to counter the effects of these dry periods on habitats and associated wildlife, and to adapt to perceived climate change. Increasingly ineffective water management infrastructures focused attention on the need to upgrade or install new systems, thus improving water management and control, benefitting wildlife and ensuring the sites were resilient to increasingly variable climatic conditions. There was also the opportunity to increase the extent of the saline lagoon habitat and improve the quality of these areas for Annex 1 bird species. Unauthorised recreational access to the fragile vegetated shingle habitats had eroded shingle ridges and vegetation and caused disturbance to vulnerable wildlife. The project has inter alia created nine hectares of new lagoon and pool habitat, benefitting over 180 species including the rare Starlet Sea anemone, installed new sluices to recreate the water regime and created new islands. 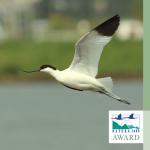 It has also seen the avocet population increase over eight times, the golden plover population triple, the ruff population more than double and the European spoonbill population increase. The grassland management was improved to ensure favourable conditions for marshes and wet grassland. Access was regulated and local awareness and engagement were raised through consultation, workshops, a working group, education and the production of different information material. A local brand was created and the project featured on national, regional and local radio and TV and in the press. Scientific monitoring was improved through the use of high-resolution area photographs and remote cameras. For more information, visit www.lifealdeore.org. The Marine Conservation Society (MCS) and ClientEarth’s unique collaboration, bringing together scientific and legal expertise, means that potentially damaging fishing in English marine Natura 2000 sites is now being managed. Around 5,700 km2 of England’s inshore reef and seagrass habitats have been better protected since summer 2014. Marine Natura 2000 sites are meant to be subject to strict protection. Despite this, until 2012 there was no strategic approach across the UK to regulate potentially damaging fishing in such sites, despite the implications of damage from certain fishing gear (e.g. bottom trawls, scallop dredgers) and Habitats Directive case-law showing that action needed to be taken. In addition to actively working for the prevention of certain damaging fishing activities at specific sites, such as the Fal & Helford Special Area of Conservation, the collaborative work of MCS (ecological advice and case work understanding) and ClientEarth (legal application) has contributed to a systemic change. Our work highlighted to the UK government the requirement to undertake proactive (rather than reactive) management to ensure protection and pushed for a new approach to the implementation of Art 6 of the Habitats Directive with respect to fisheries in England. After the UK government revised its approach, regulators, NGOs, statutory nature conservation agencies and fishing interests have collaboratively populated a 'risk matrix'. Regulators are now proactively using bylaws and permitting arrangements to restrict potentially damaging fishing. Different stakeholders are now engaging with improving the implementation of the law. This is an example of how the marine Natura 2000 network can be more effective in achieving its conservation goals. The cement plant of Xeuilley is located in the north-east of France; it is linked to a quarry that was opened in the XIX century and is still operating. The quarry is located in an intensive agricultural area. Part of this quarry has been associated with the Natura 2000 network, due to the presence of two protected species of amphibians, the yellow bellied toad (Bombina variegata) and the crested newt (Triturus cristatus). A lot of different species, including other amphibians, dragonflies… live in the quarry. This part of the quarry (about 320 000 m²) is included in the FR 4100233 N2000 site (“vallée du Madon, du Brénon et carrière de Xeuilley”). The situation is very unique because amphibians, especially bombina variegata, live in ponds and on limestone slabs, not only in the restored areas, but also in the working area: they use the stocks of gravel to hide during the winter and use the drainage system running all along the quarry to move and to colonise wet areas. The process of quarrying completely renews the landscape: by opening areas, there is ongoing activity, from putting aside the topsoil, to extraction and restoration activities. This dynamic brings different species to the quarry, using different areas of the quarry (ruts, deep and shallow ponds, grasslands and rocky slabs…). Vicat signed a partnership with CEN Lorraine in 2002, then in 2004 a 5-year N2000 contract. The aim was to take these two species into account in the quarrying activities, to continue the industrial activity and to preserve a very valuable population of toads in good health. Today, with CEN Lorraine, industrial activity and biodiversity protection can cohabit in a profitable way for humans and toads. The Sentina Reserve is a landscape of water and sand that covers about 180 hectares in the southern part of the Marche Region in Italy. 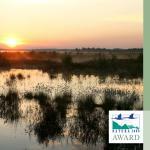 The area includes the Natura 2000 site IT5340001 characterised by small patches of brackish wetlands and salty meadows, which today have become rare ecosystems along the Adriatic coast. Old documents clearly show the presence in the Sentina Reserve of a lake, which, due to urbanisation and subsequent drainage, has gradually disappeared. The project RESCWE (Restoration of Sentina Coastal Wetlands) included works aimed at restoring and conserving the pre-existing wetlands (habitat 1150) and at protecting the residual dune formations along the coastal area of the Sentina Natural Reserve. resilience restoration in the coastal area in terms of possible risks of sea-level rises. The restoration actions were carried out by setting up a system of connected, integrated and functional wet environments. Specific actions resulted in the re-introduction of autochthonous vegetal and animal species, originally present in the area. Works also saw an increase in the Bufo viridis population, along with efforts to boost the nesting of certain birds included in Council Directive 92/43/EEC: Nycticorax nycticorax, Ardeola ralloides, Egretta garzetta, Himantopus himantopus, Alcedo atthis. The Natura 2000 site "Forêt de Chaux" covers one of the largest one-piece deciduous forests in France (22 000 ha). 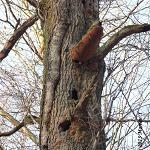 This site has a big responsibility in the conservation of Picus canus and Dendrocopos medius, both woodpeckers dependent on dead or senescent broad-leaved trees. A SAC is included, drawn around the Clauge river. The goal of the Office National des Forêts (ONF), the forest manager and the Communauté d'Agglomération du Grand Dôle (CAGD) association of local authorities and operators for Natura 2000, was a global and long-term improvement of those species' habitat quality. The management plan of the state forest (13 000 ha in the heart of the site) was about to be revised. In 2011, the ONF studied the possibility of identifying and optimising a long-term network of old and senescent patches. The French state also made a commitment: two biological reserves and a density of three trees per hectare with biological interest (dead, senescent, big, with cavities, big nests). Among the three scenarios of the network, one was optimised on both the biological and economic sides. 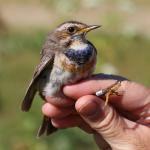 The CAGD confirmed the scientific and conservation interest of this scenario. In 2013, the ONF contracted its 28 patches, for 124 hectares. They contain 2 000 big or senescent trees, individually identified in 2014 with the help of the CAGD. These patches will evolve naturally over the next 30 years, at least. This network will contribute to a significant part of the mature deciduous forests, quite rare in French forests managed for wood production. The population of breeder woodpeckers was measured in 2010. The long-term monitoring, and the evaluation of this network's benefits for species’ populations, are part of this project. Oak forests in the Balchik SHA region were in poor condition due to being managed as scrub habitats for decades and to the clear felling system being applied. The natural recovery is badly affected and needs active and scientifically proven methods to be improved. Severe anthropogenic pressure exists in the targeted areas, coming from adjacent territories, settlements and sea resorts – mainly people passing by and livestock grazing; clearing; burning; uprooting, etc. There is a real danger of typical forest habitats being lost due to lack of natural regeneration, withering of trees and lack of funding for forestation. One of the main objectives of the project was to restore priority oak habitat types / Pannonic woods with Quercus petraea and Carpinus betulus (91G0*), Pannonian woods with Quercus pubescens (91Н0*), Euro-Siberian steppic woods with Quercus spp. (91I0*) and Eastern white oak forests (91AA*)/ over an area of 115 ha in two protected zones from the Natura 2000 network, located in the Black Sea Coastal region – Dolinata na reka Batova and Emine–Irakli. The project is of a pilot character, but most of the issues faced by the oak forests are the same, and that is why the general management rules suggested here are viable for all the oak forests in Bulgaria. The silvicultural methods applied have a demonstrative and innovative character (a new silvicultural system of management has been offered, which is different from the one used so far in Bulgaria). The implementation of these methods is much needed for the Natura 2000 protected zones, because of the zones’ unsatisfactory conservation status. Slieve Felim is an upland area located in the midlands of Ireland. The majority of the area is more than 600 ft. above sea level and mineralisation is poor. Historically the area has been used as extensive farmland. It was one of the most densely populated areas of upland in Ireland at one time. Much of the area at that time was covered in heather and was a suitable habitat for ground-nesting birds; it was a nationally renowned location for grouse in particular. In subsequent years farming practices and land ownership started to change and a substantial afforestation programme was implemented. These changes together compromised the habitat to such an extent that the ground nesting birds were displaced and were no longer to be found in the area. Following the adoption of the Habitats Directive, much of the area (21,000 ha) was designated as an SPA. Notwithstanding this designation, the vast majority of the area was not suitable as a habitat for grouse and other ground-nesting birds due to the large amounts of afforestation, the small scale and disconnection of the non-afforested areas and the proliferation of predators. A number of concerned local landowners and environmentalists started considering how this issue might be responded to from the early 1990s. The challenge was significant as it required the cooperation of a large number of actors and demanded the willingness of owners to engage in conservation measures without any clear financial return. Following a lengthy period of discussion and consideration, actions started to be taken about four years ago. These actions involved habitat management, predator control and monitoring and recording. Five landowners are involved at present and it is expected that this will double shortly. The LIFE TIB Project aims at combating the loss of biodiversity caused by landscape fragmentation, degradation and destruction of habitats, by enhancing the ecological corridor that connects the Alpine bioregion with the continental bioregion (Alps-Apennines) in the section between the Ticino river valley and Varese Pre-Alps, through tangible actions of defragmentation (20 actions), creation and restoration of habitats, and also by reconciling the needs of land planning with the need to protect biodiversity and maintaining consistency with the Natura 2000 Network (14 sites involved). In order to ensure the completion and sustainability of this project, meetings took place with different stakeholders. The result was a document called Network Agreement, signed by 42 Municipalities, together with the Province of Varese, Campo dei Fiori Park, Ticino River Park, and the partners LIPU and Cariplo Foundation, with the commitment to protect the ecological corridor through local land planning and the assessment of the effects of plans/projects on sites (art. 6.3 of the Habitats Directive). Nowadays, article 6.3 of the Habitats Directive is implemented outside Natura 2000 Network sites as well thanks to the entire ecological corridor Campo dei Fiori – Ticino river. An assessment of plans and projects allows a case by case analysis and will focus on reducing land consumption and maintaining ecological connections; it could also be a chance to improve the ecological quality of semi-natural areas. The TIB project is being implemented thanks to the EU Life programme, and carried out by Provincia di Varese, Regione Lombardia, Lipu and Fondazione Cariplo. It started in October 2011 and will end in December 2015. As a result of population growth, land cultivation and infrastructure, only 15% of the Netherlands consists of natural areas. Fragmentation of habitats and populations, and barriers between populations, is still a major problem. This has strongly contributed to the extinction of vulnerable species like the otter. Many efforts have been made in the last decades to connect dry natural areas. However, until recently, robust connections between wetlands were lacking. Now, two robust connections between wetlands are in place in bottleneck locations. Underpasses crossing busy provincial roads connect four major wetland sites, all part of the Natura 2000 network. These underpasses are innovative and the first of their kind in the Netherlands and Europe. Natuurmonumenten, Staatsbosbeheer and National Park Weerribben-Wieden played an important, boosting role in initiating the efforts. Many partners were working together. As lead partners, the provinces Overijssel and Noord-Holland were responsible for the actual realisation and financing of the underpasses, leading to an outstanding result appreciated by all stakeholders. The realisation process was lengthy. After the first plans in 1993, the ecological connections were finally completed in 2013 and 2014. Populations of the main target species, the otter, yellow-spotted whiteface, large copper, root vole and pond bat, as well as many other species are connected by the underpasses and newly created habitat. The underpasses enable dispersion to new habitats and spreading of plants via seeds by mammals. The underpasses and adjacent nature development provide inspiring examples for resolving other ecological bottleneck problems between wetland areas in the Netherlands and creating a network of wetlands where the otter will thrive. 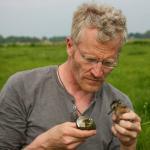 Life Eislek is a Life Nature project aimed at restoring a traditional mosaic of habitats composed of fallow wetlands with structural elements, extensively used pastures and hay meadows with delayed cutting regimes. Three emblematic species typical for the wet grasslands of the Ardennes region will benefit from this project. The violet copper, the whinchat and the red-backed shrike have declined in numbers due to a decrease in available habitats. The consequence of the intensification of agriculture and urbanisation is a depleted and banal landscape unable to provide a habitat for our target species. The violet copper and red-backed shrike depend on a structure-rich environment that does not conform to the modern day utilisation of the land. Located in Luxembourg’s northern Eislek region, the project covers 11 Natura 2000 sites. Part of the measures involves scrub clearance and restorative mowing to open up abandoned sites, in addition to consulting with farmers on the expansion of agriculture. Clear-felling of spruce trees in wet habitats and the removal of drains, as well as the rehabilitation of rivers, contribute to the renaturation of wetland ecosystems. The restoration of bistort meadows serves the violet copper, while hedge planting creates habitats for the red-backed shrike. A lot of activities have been successfully carried out over the last two years, but as the project started only in September 2012, it has not yet been possible to observe differences in the species' status. Given that we have improved and increased the habitats available and have had good results in terms of restoring wet grasslands, we are positive that monitoring the three species will show an improvement in their status by 2017 when the project comes to an end. This application relates to a LIFE project being run by the RSPB and IOSWT to restore two key islands within the Isles of Scilly SPA off the southwestern tip of England. The main beneficiary species are Manx shearwaters (Puffinus puffinus) and storm petrels (Hydrobates pelagicus), for both of which Scilly is of great importance. However, the project is also expected to have a positive impact on many other species, including the lesser white-toothed shrew or 'Scilly shrew' (Crocidura suaveolens), which is found nowhere else in the UK. The 'core' of the project consists of a large rat removal operation. This was completed over the winter of 2013/14, and appears to have been entirely successful. Some 3,200 rats were eliminated from the target islands of St Agnes and Gugh, and no rat sign has been seen there since December 2013. The impact of the operation has been immediate and highly gratifying. For example, ten Manx shearwater chicks were observed outside their burrows in September 2014; this is the first time in living memory that chicks of this species have been seen on St Agnes or Gugh, and bodes extremely well for the future. The project will benefit not only the two target islands but also the neighbouring uninhabited island of Annet, which is the most important site in the entire SPA for seabirds and was previously highly vulnerable to invasion by rats from St Agnes. Moreover, the project is of great demonstration value. It is the largest community-based rat removal operation in the world to date, and represents a major 'step up' from typical removal projects. These tend to occur on small islands with few or no human inhabitants, whereas St Agnes and Gugh are relatively large and the former is quite densely populated. The purpose of our project was to estimate the costs of conservation measures or the cost of re-establishing a favourable conservation status for the priority habitats and species. The project targeted all Natura 2000 sites in Romania, including all species and habitats of community interest. Many of the protected areas in Romania were created for their ecological, scientific or touristic value, as well as for their positive social and economic effects generated in underprivileged local communities. The main problem is that, although they have national and international support, they cannot always achieve their management objectives due to social and economic interests regarding exploitation of natural resources and services. Moreover, investments in conservation are limited, and the paper-protected areas syndrome is present when protected areas don’t generate direct or indirect income or when they are in conflict with resource users. The efficiency of these protected areas decreases, as the costs for conservation measures are not estimated in a more realistic way. The key objectives of the study were to collect information in order to complete the report according to the Habitats Directive (Art. 8) and to estimate and prioritise the costs of conservation measures for species and habitats of community interest. The main activities, represented by data collection and complex economic estimations, led to our main achievements: the current estimation of the financial needs of Natura 2000 Network management and the key measures for meeting the objectives and priorities proposed. The main strategic objective of the project was to restore the typical natural habitat of costal dunes on Hel Peninsula, located within the Natura 2000 area. The main actions undertaken within the project included revitalization of 10 ha of protected dunes which were cleared and tidied up, as well as removing unusual substrate which affects the character of the dunes and contributes to the aggressive development of invasive species within the area. Moreover, Rosa rugosa (an invasive species which out-competes native flora) was removed from the dunes and two species typical of dune habitats were planted. The Hel Peninsula Protection Patrol was also appointed within the project. The Patrol consists of 107 volunteers who were responsible for continuous supervision over the area subject to the project and carrying out simple maintenance works such as cleaning, removing Rosa rugosa shoots, etc. Promotion and information actions included printing out and distributing 20000 copies of an information brochure, shooting a documentary showing the project implementation process and organizing a conference at which actions undertaken within the framework of the project were presented. There are also plans to publish 300 copies of a monograph on nature by the end of March. The main ecological objective delivered within the project was to reconstruct the natural character of the dune habitat together with its usual species of plants. The project was carried out by an experienced project team from the Foundation and specialists in the field of ecology and botany who provided assistance and supervision enabling smooth completion of works within the project. The project was financed by the European Union and the National Fund for Environmental Protection and Water Management. The work covered by this application includes protecting habitats at the Natura 2000 site OSTOJA WARMIŃSKA in Poland. The activities were designed to promote social awareness of wildlife and the environment and also to provide information on changes to EU regulations in order to ensure better compliance. Europe’s most threatened mussel species, and the flagship species of this project, the thick-shelled river mussel (Unio crassus), became extinct in numerous rivers due to channelisation activities and water quality problems in the past. Knowledge gaps about the lifecycle of Unio crassus have made any attempts to improve its conservation status difficult. Until now, we haven’t even known which fish species the mussel requires in its parasitic larval stage during its lifecycle. Here, we highlight the results from a river restoration project with a positive impact on aquatic biodiversity. The project focused on actions that reinforce river dynamics and are self-maintained and cost-effective in two Natura 2000 rivers (Klingavälsån River and Fyleån Creek). The rivers were re-meandered (9 km), while wetlands and hydrological regimes were restored (> 200 ha). The ecological response was strong, with fish species diversity significantly higher today than before restoration was undertaken. Through novel mapping methods, involving DNA techniques and laboratory and field experiments, 6 different fish species were identified as functional hosts for Unio crassus during its parasitic larval stage. As a result, successful farming techniques were developed, and for the first time ever in Scandinavia, mussel larvae (c. 80 000 individuals) and juvenile mussels (c. 6 000 individuals) were transplanted from the laboratory and introduced into the restored rivers. Results from a cost-benefit study suggest that the benefits (in monetary terms) gained by the restoration will balance the project costs within a seven-year time window. The project is well recognised and has already been shown to function as a catalyst, initiating similar projects. This project was developed by the Forests of Cantabria Cultural Association and funded by the Environment, Planning and Urban Development Ministry (Government of Cantabria). This grant was awarded in December 2012 for environmental rehabilitation of degraded areas, carried out by NGOs. Under this project, environmental and landscape restoration was achieved in a highly deteriorated coastal area within the boundaries of the Santoña, Victoria and Joyel Marshes Natural Park. Said plot is located on a former marsh that was filled decades ago with sand, mud and clay, a product of the dredging of the contiguous estuary, which had become an uncontrolled landfill. This meant the spreading of invasive plants (mainly Cortaderia selloana) which soon became the plot’s dominant vegetation. This harmful situation limited the fulfilment of its ecological mission in the heart of this Natural Park, one of the most valuable wetlands in northern Spain, and also a winter retreat and stopover for many species of birds and fishes. Thanks to close cooperation between volunteers and professionals, the Association transformed this space into a green area that recreates one of the most characteristic ecosystems of the Natural Park, the Cantabrian evergreen oak forest. In addition, this area has been equipped with signage and environmental interpretation features in order to educate and raise environmental awareness, thereby improving public use of the area. This project constitutes a first step towards a solution to a common problem in other parcels of the Natural Park, in doing so creating optimal conditions to avoid their return to a state of degradation as they were before, and giving them their original natural character and ecological functionality. The northern March-Thaya-Auen are home to a unique combination of industrial site turned conservation area: the vogel.schau.plätze. The Hohenau sugar factory used large ponds for cooling use-water and sedimenting waste-water. These nutrient-rich, regularly flooded ponds were attractive secondary habitats for migratory (e.g. waders) and breeding (e.g. warblers) birds in a floodplain area that had lost much of its original quality through river regulation. The AURING society aimed to uphold this valuable area after the factory closed down. A central part of our work has since been to supply water from the river Morava to the former sedimentation ponds (within the Natura 2000 area). This effort has secured the area for the largest single breeding population of Luscinia svecia in all of Lower Austria and benefits endangered amphibians such as Triturus dobrogicus, to name but a few. Problems with the left-over factory infrastructure made water management increasingly difficult. The 750 m segmented plastic pipeline ran aboveground and expanded and contracted with shifting temperatures, causing leaks at the couplings and often requiring the pump to be switched off. Aside from loss of water and higher costs for operating the pump, a lot of volunteer work was needed to fix leaks. To address these issues, we decided to weld the pipeline into one single piece and bury it at a depth of 1 metre. Furthermore, a photovoltaic system was installed to provide electricity for the pump. These measures have reduced our costs and improved manageability of the process and will prevent unintended interruptions of the water supply, which could endanger reproducing amphibians. We have invested in the future, making our work more sustainable so that it may benefit this unique area for many years to come. Ormos Katelios Mounda is a coastal bay on Kefalonia island and an important marine area for the reproduction of marine turtles (Caretta caretta). It is listed as a NATURA 2000 site. Various anthropogenic impacts have been affecting turtle nesting activities in the area since the beginning of tourism, for example sea lighting from hotels, camp grounds and sunbeds. Over 15 years, providing scientific evidence of the ecological importance of Mounda Beach. From 1998-2001, submitting numerous demands and report objections to the official bodies in charge of Mounda Beach, ensuring its designation as a Natura 2000 site. Submitting five years (1997-2001) of reports to the Bern Convention. Supporting the objection against the Ministry of Environment catalogue in which Mounda was excluded from NATURA 2000 candidate areas; this involved collecting 5 000 signatures from members, friends, supporters and tourists. Raising awareness in the Environmental and Cultural Centre of Katelios. The Group, through long-term and continuous actions, managed to achieve what it had been hoping for over many years, firstly the inclusion of Mounda beach in NATURA 2000 as a habitat of sea turtles and secondly producing an effective, "springboard" tool to be used for further demands concerning environmental protection issues in the area. Hotels had to install special lighting, with fines imposed for non-compliance in the breeding areas of Caretta. This is a first for Greece. The main goal behind the rehabilitation of the Gaschneyried bog was to deforest it, after forest vegetation had invaded the area. The project ran over about 6 months, from March to September 2014. The project activities took place in the bog’s home territory, Munster valley, which is just below the Gaschney ski resort. The activities included studying the species present and then eventually reopening the area. Aguilas de Fuente Empedrada is an innovative centre for captive breeding and research programmes for endangered bird species. With the recent economic crisis hitting Spain in 2010, regional administrations could not sustain much of the conservation efforts for endangered species. The Aquila Foundation (FA) thus had to take action and take responsibility for sustaining all the research and breeding programmes for the endangered eagles, to avoid them being shut down. The FA carries out this work through a collaborative agreement signed with the Ministry of the Environment of Castilla-la Mancha, but has to cover all costs involved. On May 27 2014, the FA inaugurated a new centre called “Águilas de Fuente Empedrada”, which is a centre devoted to protecting endangered eagles through a stock of genetically valuable founders and a germplasm cryobank. This centre is very unique because of its integrative-holistic design and services. The place provides facilities and links conservation, research, sustainable ecotourism, education and human growth activities. One of the innovative aspects is that, in a single visit, the visitor gets a panoramic view of the real work on raptor conservation while learning how to help them. The centre is located in ZEPA Llanos de Oropesa, Lagartera y Calera y Chozas (ES0000168) Natura 2000.